I was finishing up the manuscript for my 10th book this week when I received an email asking, in essence, how to go about writing a book. I don’t know that I’m very good at it yet, nor that anyone should follow my example, but I certainly have some experience under my belt! Every author works a little differently, and I think every author grows and evolves their approach over time. The steps necessary to get a book from the author’s head to your hands are pretty much the same for everyone, but we all have unique approaches to actually getting the work accomplished. For me, deciding what to write is one of the hardest parts of the process. I have lots of great ideas, and my readers are always suggesting ones I’d not thought of, but making the decision about which to do first is tough. The idea has to excite me. Recently I was asked to write rather formulaic book on a pre-selected topic, but I turned the offer down because I knew I’d never be able to motivate myself to do a good job. If I’m excited about the subject, even if only because of the opportunity to research and learn something new, it will be much easier to write something of quality. The topic also needs to have value to the reader. I take my obligation to my readers seriously; I want to give you information you can use and convey it in such a way as to make it understandable. If I don’t see a value to the person who might read it, the idea — no matter how much I like it — isn’t really viable. How much organization is enough? Once I’ve decided on a topic I lay out a list of proposed chapters. These are broad categories of thought about the subject which serve as a guide to what to include. Into those I’ll drop snippets of thought, things I think are important to the subject matter of each chapter. This is about as far as I get in organization; the chapters and snippets are to guide my thought processes without dictating exactly what I should do. Many writers produce a detailed outline and then write to fit the outline, but I’ve never been able to do that; not in high school, not in college, and not now! An outline is just too rigid for me. Many times I’ll move chapters around, add new ones, or even delete those which don’t fit. It’s hard to do that when you’ve committed to something in detail. Making many changes to an outline introduces management overhead into the process, and often what seemed so logical in the outline phase turns out to be anything but when seen in context. As I write I often come up with things I forgot to include, and sometimes I discover something wasn’t as important or appropriate as I originally thought. I’ll add or subtract as I see fit, always with an eye toward how it supports the subject of the book. Sometimes, deciding what NOT to include is tougher than picking what should be included. I rarely write linearly; I skip around and work on chapters which interest me, or those for which I have relevant information. As I write I make lots of notes about things I need or want to research further, possible illustrations, or just stuff which I think needs to be expanded. By the time I’m finished with the rough draft there may be hundreds of notes which need some sort of action. I usually set a rough word count for the book when I start the project. On my first two or three books I just wrote until I felt I’d exhausted the topic, which is what most new authors do. As I gained experience I was better able to predict ahead of time how much I needed to write to adequately cover the subject matter. Most people, writing their first book, often end up with a work which is longer and less cohesive than it should be. This is where a good editor becomes important, as he or she works to corral the author and tighten the writing so the reader gets the necessary information without getting bored. This almost always requires fewer words, not more. This is also the point where deadlines are set. A publisher will usually set the manuscript (rough draft) deadline based on the writer’s estimate of how long it will take; if publishing independently, however, the writer has to set the deadline and then be disciplined enough to deliver on time. When I’m publishing on my own, I first establish my rough draft deadline based on how long I think it will take to do the necessary research and writing and set a specific deadline date. I figure out how many working days I have until the deadline, then calculate how many words I need to write each working day in order to get there. This gives me a daily writing goal. The draft deadline also allows me to work forward to figure out a release date. I know from past experience how long editing, illustrations, cover art, and proofreading take — and which things can be accomplished concurrently. Taking those into account I can set a firm date for the book’s release. If working with a publisher they take care of all those niggling details, but the independent author has to do it for him/herself. Once the rough draft is done I start the rough edit phase. I go back to the beginning and work through the manuscript in sequence, fixing poor writing and adding in necessary material. I look at the flow of information; is it logical, is it easy to understand, does this bit fit here or would it be better somewhere else? This is also where all those notes I made during the rough draft get incorporated into the work. Depending on the complexity of the project, I may make two rough edit passes. Once the rough edit is done it goes to the editor, because behind every good writer is a superb editor! You can find lots of books on Kindle that clearly were edited by the writer or a close friend, and they’re universally awful. No matter how good the writer is, to produce a good book requires a professional editor. If I’m working with a publisher my involvement largely ends at this point, as they have their own editors. At this point I’ll also start the process of gathering or creating the necessary illustrations, again based on those notes I mentioned earlier. My background in commercial photography makes this step relatively easy, although I’ve been known to hire a graphic artist to make non-photographic illustrations that don’t look like they came out of a third-grade art class! Once the draft comes back from the editor, the proofreading process begins. I’ll usually do the first read-through myself and then hand it off to some carefully selected people who can look at the work with fresh eyes. They inevitably catch things which managed to escape both my eyes and those of my editor. The importance of good proofreaders cannot be overstated. Once the changes to the text have been made, it’s time to format and send to the printer or ebook distributor. Hey Buddy!, I found this information for you: "Things people ask: “How do you write a book?”". 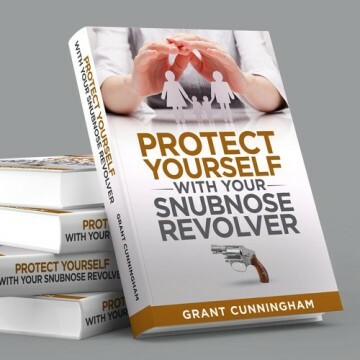 Here is the website link: http://www.grantcunningham.com/2017/06/things-people-ask-write-book/. Thank you.